LAWRENCE, WILLIAM DAWSON, shipbuilder, shipowner, and politician; b. 16 July 1817 at Gilford (district of Banbridge, Northern Ireland), son of William Dawson Lawrence and Mary Jane Lockhart; m. in 1839 Mary Hayes, and they had ten children; d. 8 Dec. 1886 in Maitland, N.S. William Dawson Lawrence’s parents came to Nova Scotia while he was still an infant and settled at Five Mile River, Hants County. As a child he was taught by his mother and later attended a school at Five Mile River. In 1838 Lawrence went to Dartmouth where he apprenticed in the shipyards of Alexander Lyle and John Chappell. In 1847 Lawrence designed the Wanderer, a barque of 568 tons built by John Chappell for the firm of Fairbanks and Allison of Halifax and launched in April 1849. Lawrence soon became involved in the design, construction, ownership, and operation of his own vessels. His first was the St. Lawrence, a brigantine of 170 tons built in 1852 at Five Mile River in partnership with his brother James. The vessel was owned by Lawrence, his brothers, James and John, and Alexander MacDougall. Lawrence operated the St. Lawrence until 1855, at which time he moved to Maitland, sold the vessel, and launched the Architect, a barque of 348 tons. In 1859 he launched the Persia, a barque of 285 tons, which he operated until 1865. In 1860 he built the 117-ton brigantine Clyde. In 1862 he sold the Architect and launched the William G. Putnam, a barque of 716 tons, and the next year built the Mary, a barque of 642 tons. Lawrence’s deep sea vessels were not involved to any extent in the coastal trade, but carried general cargoes to all parts of the world. He often imported tea, flour, and molasses which he exchanged in Maitland for shipbuilding materials. From the early 1850s Lawrence, though operating the vessels he built, had shared ownership with other Maitland merchants. By 1867, however, he was ready to proceed on his own. He sold the William G. Putman and Mary and in September of that year launched the Pegasus, a ship of 1,120 tons built at a cost of £9,640, and at the time the largest vessel constructed in the Maitland area. The Pegasus, under Captain James Ellis, Lawrence’s son-in-law, was not profitable at first because of a general depression, but by the end of 1868 freight rates had risen and the ship became engaged in the profitable trade in guano, a natural fertilizer found especially in the Pacific islands off Peru. In the fall of 1872 construction began on an even larger vessel; William’s brother Lockhart was master builder and William’s son John helped mould the frames and did much of the interior work. In August 1874 the Pegasus was sold and in September the William D. Lawrence, a ship of 2,459 tons, was launched. The vessel was 262 feet long, 48 feet wide, and had a 29-foot hold. It had cost $107,452 to build. As a result, Lawrence found himself in debt for more than $27,000. He owned 60 of her 64 shares, and Captain Ellis the rest. On a voyage of almost three years Lawrence sailed in the ship with Ellis and other members of his family, and when he returned to Nova Scotia he published an account of the interesting places and people he had encountered. The William D. Lawrence had many profitable voyages before its sale for £6,500 to a group of Norwegians in 1883. In 1884 Lawrence recounted that in a period of eight and a half years he had cleared the $27,000 debt and made a profit of $140,848. Although the William D. Lawrence was the largest wooden vessel ever built in the Maritimes, the ship was in fact only slightly larger than the 2,377-ton Morning Light built at Saint John, N.B., by Richard and William Wright* in 1855. Contrary to popular belief, the William D. Lawrence was not the largest square-rigged vessel built in British North America. That honour belongs to the 5,294-ton Baron of Renfrew built by Charles Wood* at Quebec in 1825. Lawrence had also been active in politics throughout the 1860s. In December 1859 he had been appointed a justice of the peace for Hants County, a post he held until his death. In May 1863 he had been elected to represent Hants in the provincial assembly, where he supported free education and adamantly opposed confederation. 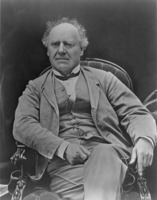 Re-elected in the provincial election of 1867 as an anti-confederate, Lawrence felt betrayed when Joseph Howe* deserted the cause and accepted a position in the federal cabinet early in 1869. In the 1871 election Lawrence again made the repeal of confederation a key issue, but he was defeated by William Henry Allison. Although he retained an active interest in politics until his death in 1886, Lawrence never again sought political office. 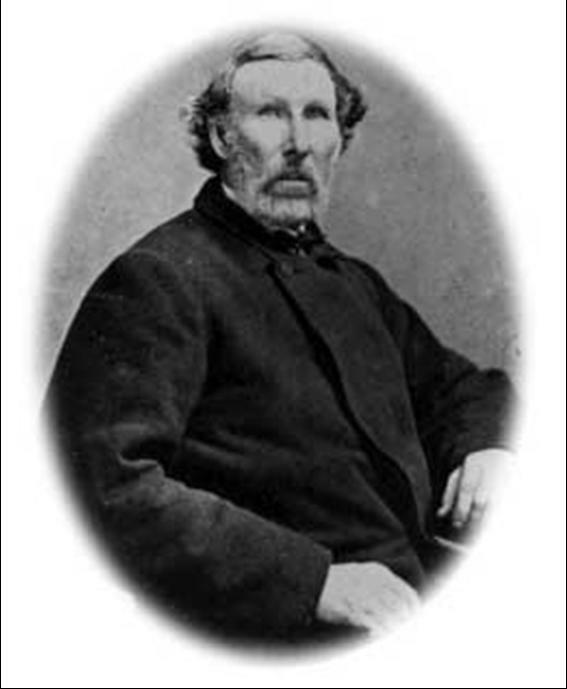 William Lawrence was representative of the many hundreds of Maritimers in the 19th century who built, owned, and operated their own ships. Many fortunes were made through good management and the shrewd acquisition of profitable cargoes, but a great deal also depended on having the good luck to escape shipwreck. William Dawson Lawrence was the author of an untitled pamphlet which describes a lengthy voyage and was published at Maitland, N.S., in 1880. Nova Scotia Museum (Halifax), Judith Boss, “Notes on William D. Lawrence” (typescript, 1975); William D. Lawrence, Letterbook and vessel’s cost accounts, 1870–74. PAC, RG 42, A1, 44–53, 55, 66, 80–85, 307–12, 368. PANS, Biog., William D. Lawrence, Docs., 1835–1908 (mfm. ); MS file, William D. Lawrence. Novascotian, 12 Jan. 1884, 18 Dec. 1886. Directory of N.S. MLAs. Charles A. Armour, “LAWRENCE, WILLIAM DAWSON,” in Dictionary of Canadian Biography, vol. 11, University of Toronto/Université Laval, 2003–, accessed April 24, 2019, http://www.biographi.ca/en/bio/lawrence_william_dawson_11E.html.